I have even had to cancel my evening classes which I just can’t bear doing but needs must. Luckily though, dinner is sorted. 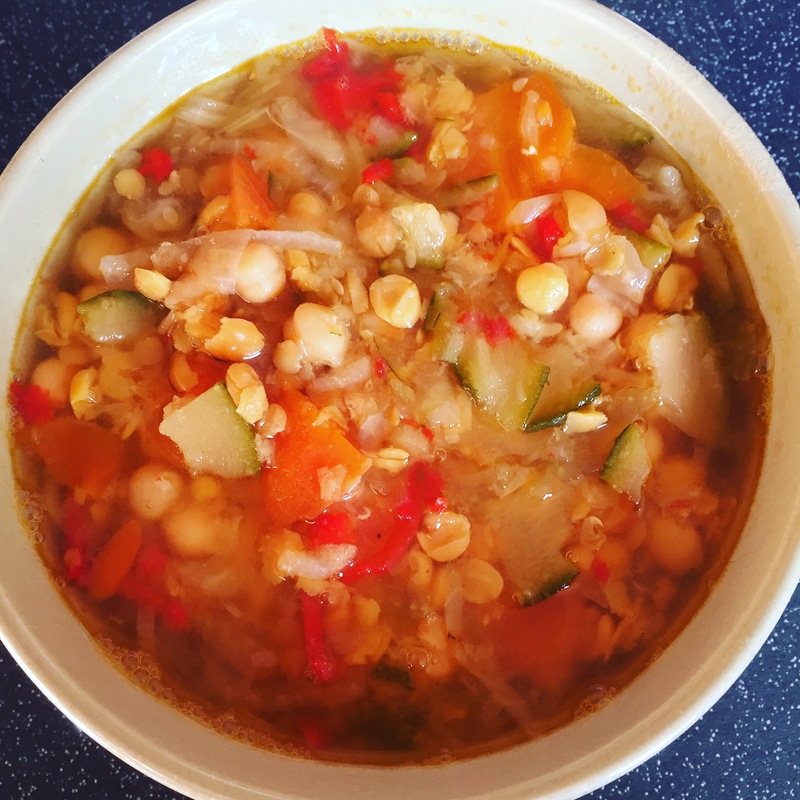 With 5 minutes prep this afternoon I had a steaming bowl of protein packed pulses and veg. Thanks past Jo!! When I posted a piccie of it on Facebook someone asked for the recipe so here it is. Thinly slice veg, for super speed just throw through the slicer in a food processor. Put in slow cooker, cover with boiling water, add lentils, chick peas, dahl, stock cube and bay leaf. Turn on low. Enjoy.